Ever Wondered What A Game Of Thrones RPG Would Look Like? 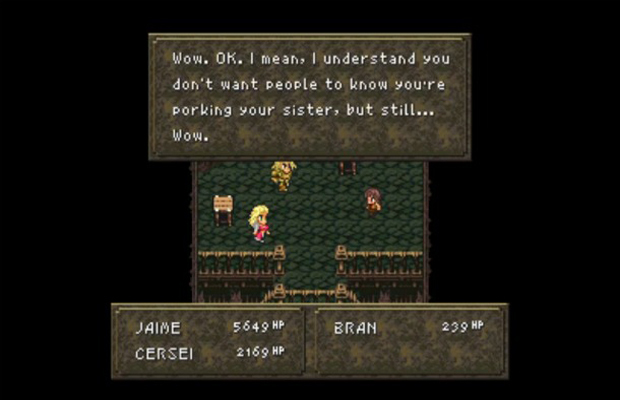 critically acclaimed HBO show, Game of Thrones, as turns it into a 16-bit RPG. The video contains spoilers of the show and George R. R. Martin’s novels, but even if you haven’t kept up with the summer’s most addictive program, you’ll still get a kick out of the story’s absurd plot points. Enjoy!